Welcome to the exciting Novotel Geelong! Call the hotel directly on 03 5223 1377 or 0419 537 253. Boasting one of the best locations in Geelong right on the waterfront and in the heart of the CBD, Novotel Geelong is the city's premier hotel. Corporate and holiday travellers enjoy comfortable accommodation rooms with a balcony, superb dining, conferenc e facilities, free WIFI, indoor pool, fitness centre and close to attractions and shopping, all 20 minutes from Avalon Airport and 60 minutes from Melbourne. 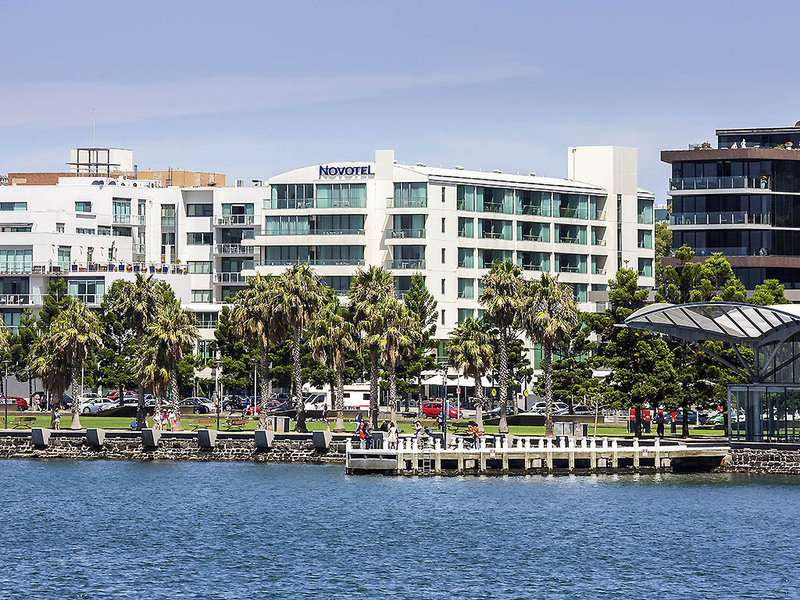 Located at the waterfront with amazing views across the bay, Novotel Geelong is situated within Geelong's Central Business District, close to shopping centres and local attractions. Located on the stunning Geelong waterfront with bay views, relax inside or on the alfresco area. Offering a wide selection of local wines, beers, cocktails and snacks, it is the perfect venue for a drink with friends, family and colleagues.